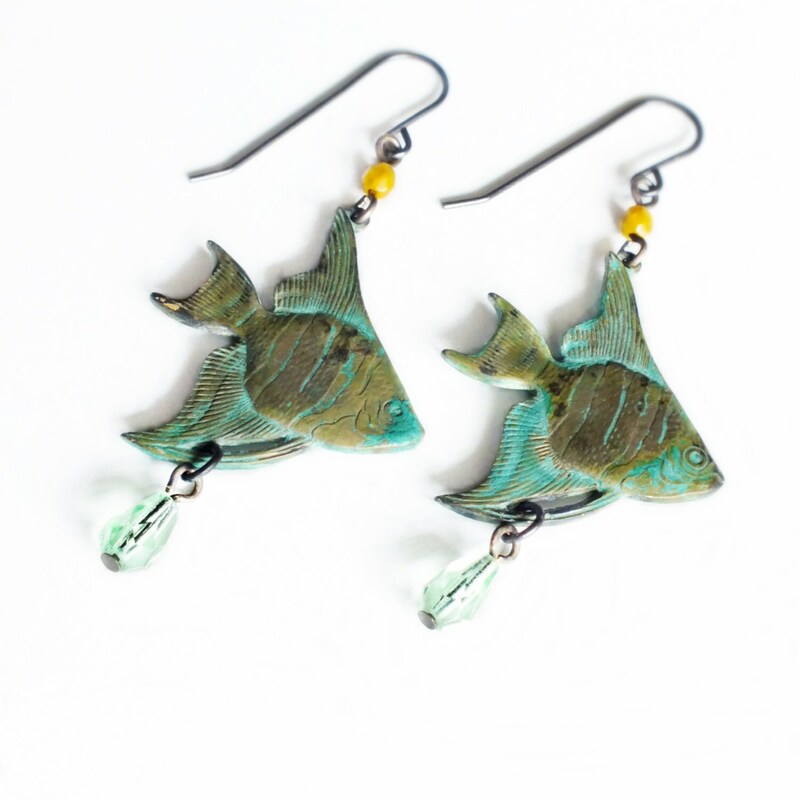 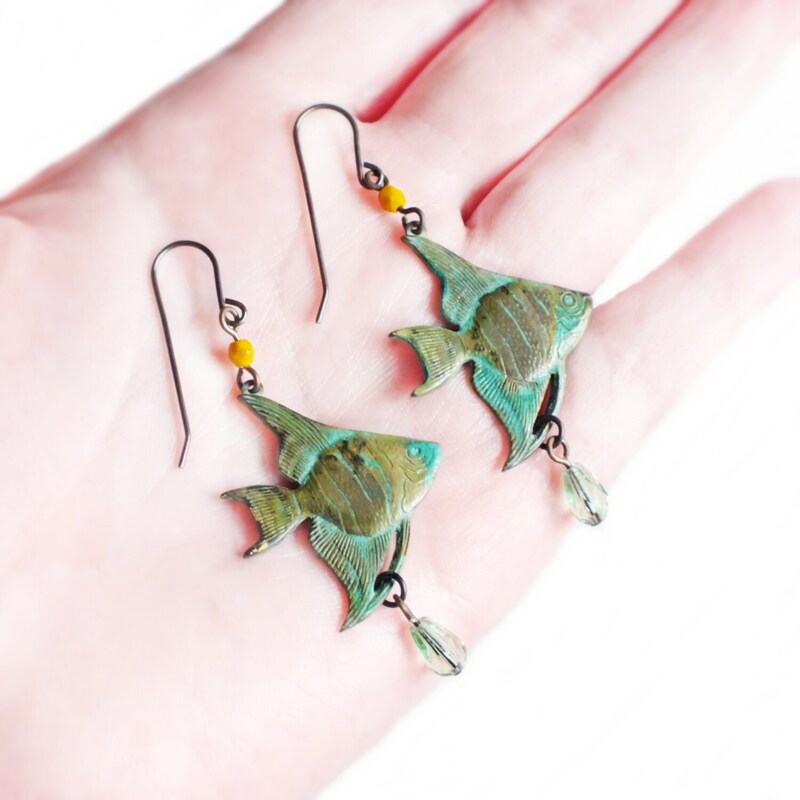 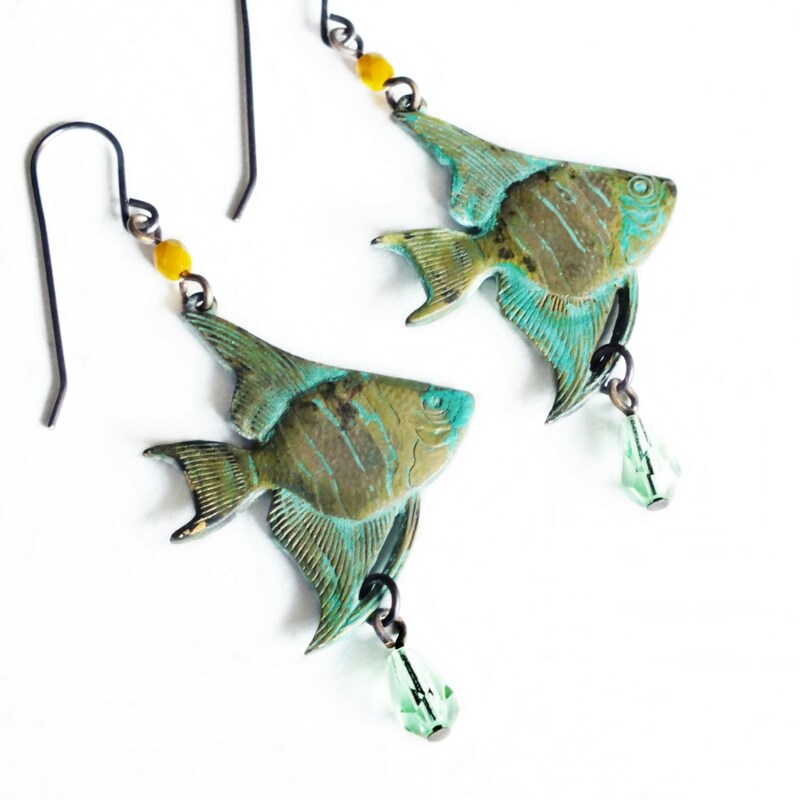 Victorian style handmade verdigris fish earrings. 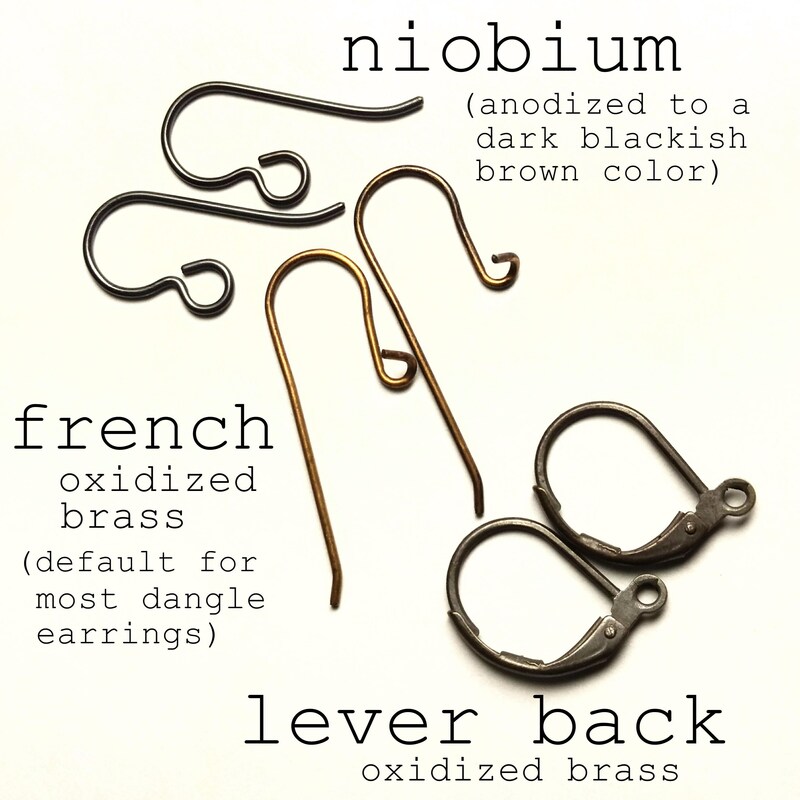 US made brass ear wires and verdigris brass. 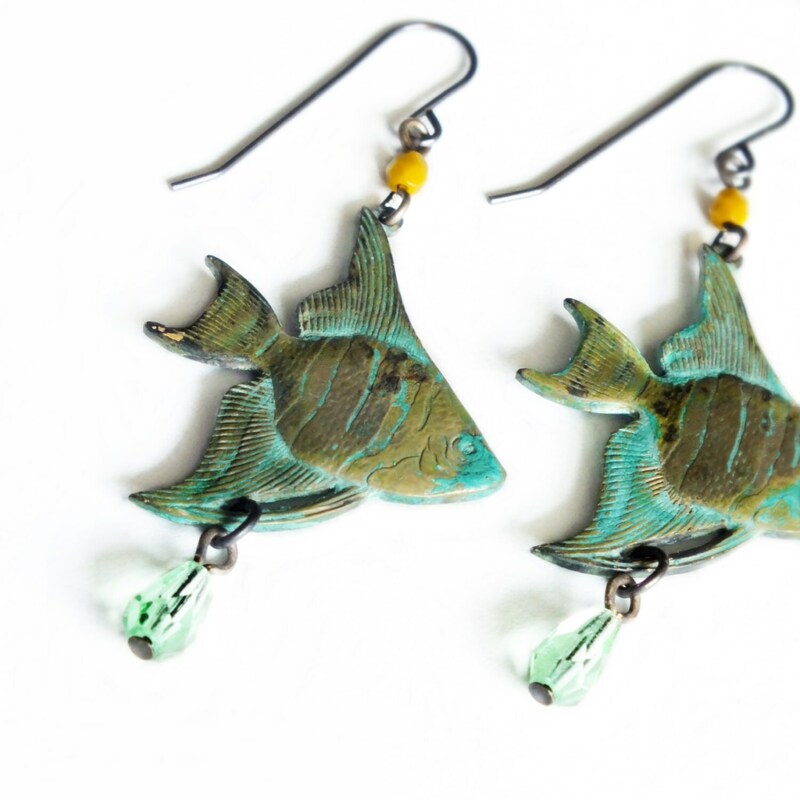 Gorgeously detailed brass angel fish made using genuine vintage tooling and aged to a beautiful minty green patina. 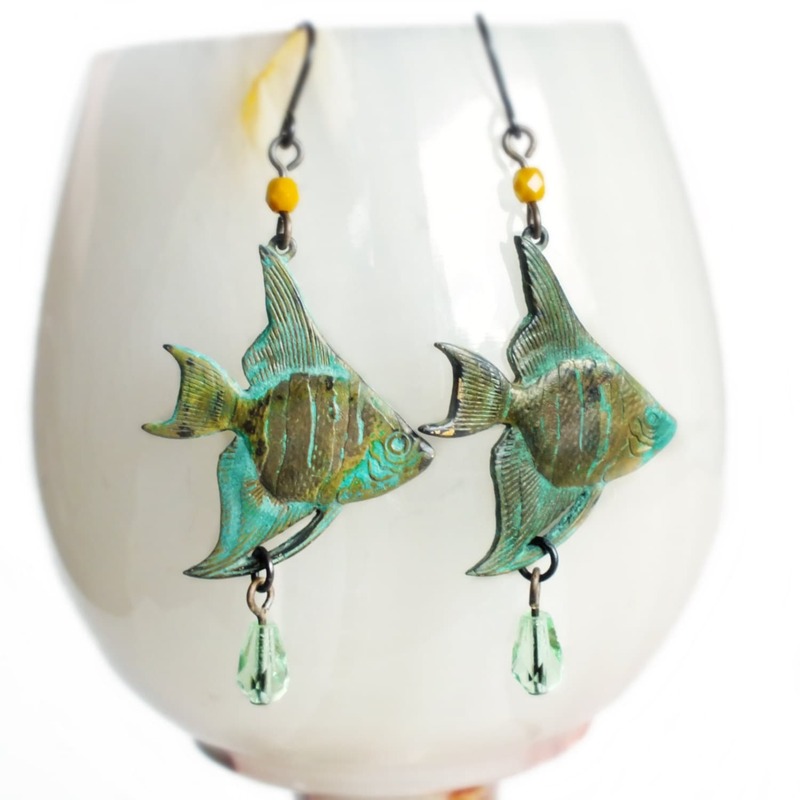 Adorned with beautiful avocado and mint green glass beads.